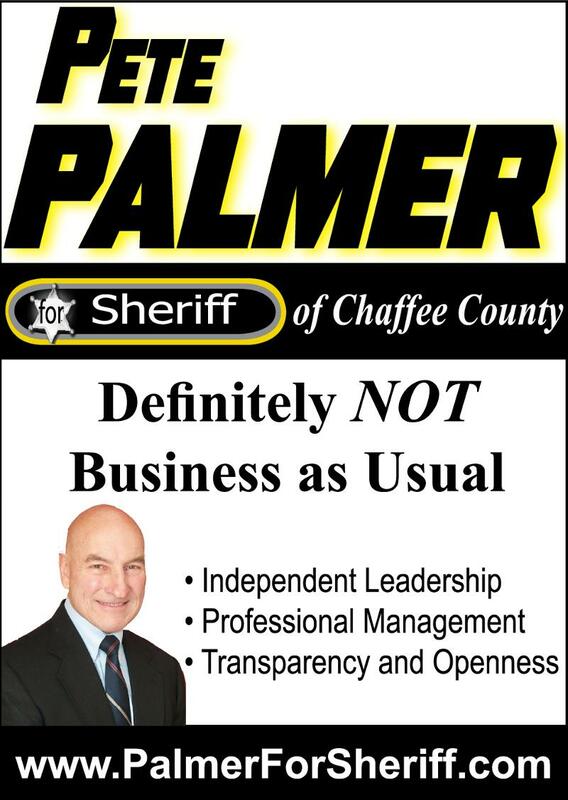 In February I wrote an article about my friend, Pete Palmer, who was running for sheriff of Chaffee County, Colorado. I said we all want votes–it’s just that his would get counted more officially than ours. Well, the votes have been counted and he won! I’m confident that Pete will be extremely effective as a sheriff. He has a strong foundation of experience and is overall a great person. Many of his friends and colleagues are providing free or low cost professional resources in the coming months. He meant all that he said during his campaign and has plans for all that he promised. However, sometimes the reality of life, work and situations get in the way of our best intentions, no matter how committed and dedicated we are. For one thing, we must work with and through others to get things done and you know how challenging that can be–often for them, as well! So, Pete has a lot of things to accomplish. Many people (especially the sheriffs department employees) will be waiting to find out if he lives up to his promises. Your friends, family and coworkers are thinking the same thing about you. What kind of person, coworker, manager, supervisor, friend or family member have you promised to be or claimed to be? Next, think about what you have done or said that could prove to people that you really are those things. If you had a platform, what would it be? What proof could you use to show that you consistently live up to (that’s a great phrase, when you think about it!) the good qualities you’ve promised to deliver and the level of work you claim is your habit? What do you do regularly to make people glad you were hired, glad you are a friend or family member, glad you are the one assisting them or providing service or glad that they have supported you? For Pete Palmer, the reality is that he already is running for re-election. That’s true for the rest of us as well: Every day is voting day. How is your campaign coming along? Even the great, constant moon would eventually cease to shine if it paused every time a little dog barked at it. - I don't know who said that. Do you?